The family of a teenager shot dead in Londonderry in 1972 have begun legal proceedings against the decision not to prosecute the soldier who killed him. 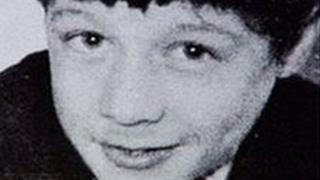 Daniel Hegarty, 15, was shot twice in the head during an Army operation to clear "no-go" areas in the city. A 2011 inquest found the boy posed no risk and was shot without warning. The Public Prosecution Service (PPS) said there was no reasonable prospect of a conviction. His sister has said she will continue to fight for justice. The family will be applying for leave for a judicial review of the decision. Margaret Brady, Mr Hegarty's sister, said: "We have never got our day in court. I just can't understand the justice system. "The house was never the same after it. My mummy and daddy didn't speak very much about Daniel and if they did they were always in tears." The initial inquest was held in 1973 and recorded an open verdict. A second inquest was ordered by the Attorney General in 2009 following an examination by the Historical Enquiries Team. The report found that the RUC investigation at the time was "hopelessly inadequate and dreadful". As a result of the report, an inquest in 2011 found that the teenager posed no risk and dismissed claims that soldiers had shouted warnings before firing. Daniel, a labourer, was unarmed when he was shot close to his home in Creggan during Operation Motorman, an army-mounted attempt to re-take areas of the city. His cousin Christopher, 16, was also shot in the head by the same soldier, but survived. The prosecution service's Assistant Director of Central Casework, Michael Agnew, said that careful consideration had been given to all of the available evidence and information. "Our assessment remains that there is no reasonable prospect of proving to the criminal standard that Soldier B did not act in self-defence having formed a mistaken but honest belief that he was under imminent attack.